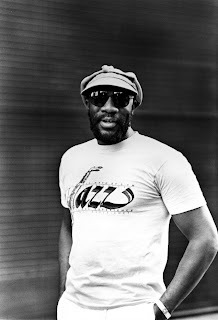 Born on August 20 1942, Hayes was found unresponsive in his home near Memphis, Tennessee on August 10, 2008, ten days before his 66th birthday. The cause of death was from a stroke. 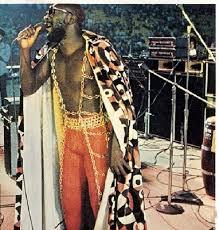 Isaac Lee Hayes, Jr. was born on August 20, 1942 in Covington, Tennessee. Hayes began singing at the age of five at his local church, and, soon after, he taught himself to play the piano, the Hammond organ, the flute, and the saxophone. Hayes began his recording career in the early 1960s, as a session player for various acts of the Memphis-based Stax Records. Hayes, with songwriting partner David Porter, wrote a string of hit songs including "You Don't Know Like I Know,” "Soul Man", "When Something Is Wrong with My Baby,” and "Hold On I'm Comin" for Sam & Dave. Hayes-Porter & the house band Booker T. and The M.g. 's, contributed to the Stax sound made famous during this period. 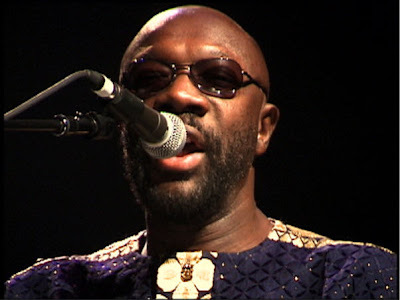 In 1968, Hayes released his debut album, Presenting Isaac Hayes that was commercially unsuccessful. His next album was Hot Buttered Soul, which was released in 1969 after Stax had gone through a major upheaval. The label had lost its largest star, Otis Redding, in a plane crash in December 1967. Stax lost all of its back catalog to Atlantic Records in May 1968. Also on the album, Hayes re-interprets "Walk On By," “By the Time I Get to Phoenix" and the funky "Hyperbolicsyllabicsesquedalymistic"which runs nearly ten minutes. In addition to his work in popular music, he worked as a composer of musical scores for motion pictures. The hit song "Soul Man,” has been recognized as one of the most influential songs of the past 50 years by the Grammy Hall of Fame. It was also honored by The Rock and Roll Hall of Fame, by Rolling Stone magazine, and by the RIAA as one of the Songs of the Century. Hayes is perhaps best known for his musical score for the 1971 film Shaft. For the "Theme from Shaft,” he was awarded the Academy Award for Best Original Song in 1972. He also won two Grammy Awards for that same year. 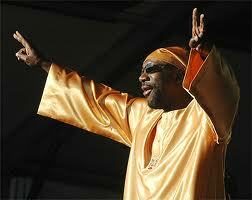 Later, he was given his third Grammy for his music album Black Moses. In 1992, in recognition of humanitarian work there, he was crowned the honorary king of the Ada, Ghana region. He also acted in motion pictures and television, such as in the movies Truck Turner and I'm Gonna Git You Sucka, and as Gandolf "Gandy" Fitch in the TV series The Rockford Files from 1974–1980. From 1997 to 2005, he lent his distinctive, deep voice to the character "Chef" on the animated TV series South Park. Throughout his songwriting career, Hayes received five BMI R&B Awards, two BMI Pop Awards, two BMI Urban Awards and six Million-Air citations. In 2005, Hayes, Porter, Bill Withers, the Sherman Brothers, Steve Cropper, and John Fogerty were inducted into the Songwriters Hall of Fame in recognition of writing scores of notable songs for themselves, the duo Sam & Dave, Carla Thomas, and others. ... she was 84-years-old when she passed away in Las Vegas following a brief, undisclosed illness. Born in The Bronx, New York, Gormé and Steve Lawrence - whom she married in 1957- were best known for their on stage banter, which usually involved bawdy references to their married life. Soon after their marriage, the pair had landed their own TV program, "The Steve Lawrence and Eydie Gorme Show." Gormé had success as a single performer, also. 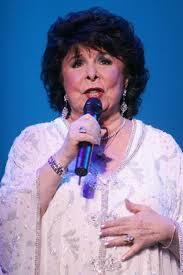 Gorme broke through on her own in 1963 with the Grammy-nominated "Blame it on the Bossa Nova." The bouncy tune about a dance craze of the time written by the Barry Mann and Cynthia Weil. It sold over one million copies. Gorme, was born Edith Gormezano on Aug. 16, 1928. She seriously considered a music career while still a student at William Taft High School in New York City's borough of the Bronx, where she had been voted the "Prettiest, Peppiest Cheerleader." The daughter of Turkish and Spanish parents, she grew up speaking Spanish at home. After graduation, she worked as a Spanish interpreter for a time but also sang on weekends with the band of Ken Greenglass, who encouraged her and eventually became her manager. Her first big break came when she landed a tour with the Tommy Tucker band, and she followed that up with gigs with Tex Beneke, Ray Eberle and on radio and television. 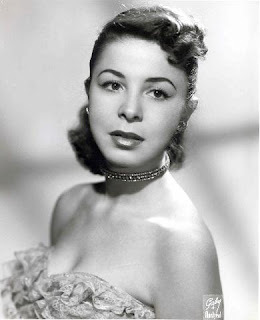 Among her radio appearances was one on a Spanish language show, Cita Con Eydie (A Date with Eydie), which was beamed to Latin America by Voice of America. Gorme' was invited to join the cast of Steve Allen's local New York television show in 1953. She sang solos and also did duets and comedy skits with Lawrence, a rising young singer who had joined the show a year earlier. Gorme, grew up speaking both English and Spanish. When she and her husband were at the height of their career as a team in 1964, she made a recording in Spanish; the result was "Amor," recorded with the Mexican combo Trio Los Panchos. The song became a hit throughout Latin America. Throughout their careers, Steve & Eydie stuck for the most part with the music of classic composers like Berlin, Kern, Gershwin, Cole Porter, Rodgers and Hammerstein, and other giants of Broadway and Hollywood musicals. For the most part they avoided performing rock 'n' roll songs. Throughout their careers, they appeared at nightclubs in Los Angeles, Chicago, New York and Las Vegas. When nightclubs dwindled in popularity in the 1980s, they moved their act to large theaters and auditoriums, drawing not only older audiences but also the Baby Boomers who had grown up on rock 'n' roll. They continued to perform together until recently. 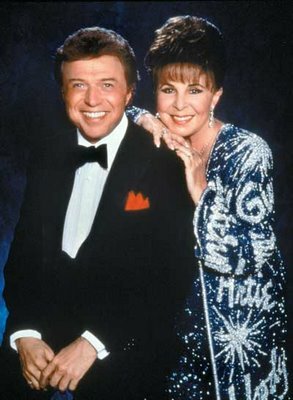 "Eydie has been my partner on stage and in life for more than 55 years," Steve Lawrence said in a statement. "I fell in love with her the moment I saw her and even more the first time I heard her sing. While my personal loss is unimaginable, the world has lost one of the greatest pop vocalists."